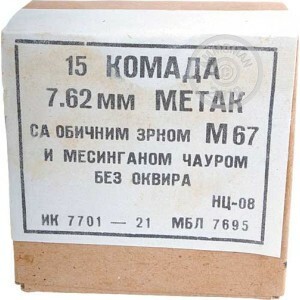 Ideal for use in an SKS or AK-47 pattern rifle, these bargain 7.62x39 rounds are surplus Yugoslavian ammunition from the 1980s and 1990s. Unlike some Eastern Bloc ammo, these cartridges are non-magnetic and safe to use indoors. 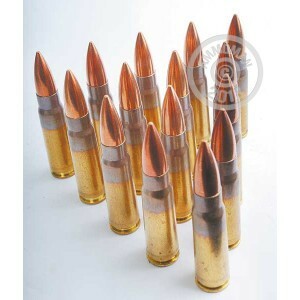 The 123 grain full metal jacket bullet delivers typical 7.62x39 ballistics. Each box in this case of 1,260 contains 15 rounds, which use corrosive Berdan primers and brass cases. 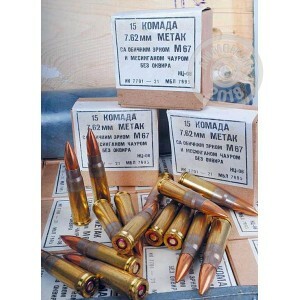 Although this ammo is corrosive, it won't harm your rifle if you clean it after every range session. A chrome lined bore will provide even greater protection and make the cleaning process significantly easier. AmmoMan.com ships all orders over $99 for free, and this case is no exception. Buy it, pay the list price, and get the ammo at your door with no added fees.